We manufacture Valentine Day Cards conforming to latest market trends and requirements. Cards speak the emotion of an individual, and are used for the same purpose. We have experienced professionals, who assist us in developing comments, which address the occasion. Our cards are offered in many different designs, shapes and sizes meeting the needs of clients. 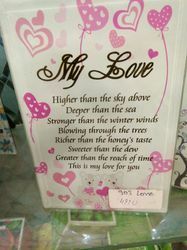 We are engaged in offering to our customer a wide range of Valentine Card. Cute Card for Valentines Day! On this valentine, express your feelings to your loved one with personalized Valentine Greeting Cards. Valentine Cards can be personalized with your own photos/images to create a unique photo greeting card and also add your own text to this wonderful concept. Anyone loves a personal touch to a greeting card! 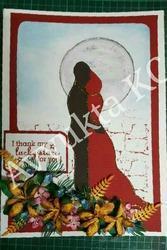 We are engaged in offering to our customer a wide range of Valentine Card . - Normal delivery is available with COD and online payment. - Anonymous delivery is also available is applied with conditions. - COD is not applied. - For COD contact the company with mail id or phone number. - Your personal message will be printed inside plain card is also delivered. Hand-crafted greeting cards, Hand-made Rakhis, Hand-made Hair accessories, Hand-made Rakhi Card, Rakhi Combos, and Other hand-made designer gift items. Heartiee greetings provides a unique way to show your special someone that he/she is the one for you. With our range of personalized and hand-crafted greeting cards, your better half is bound to feel special in ways more than one.